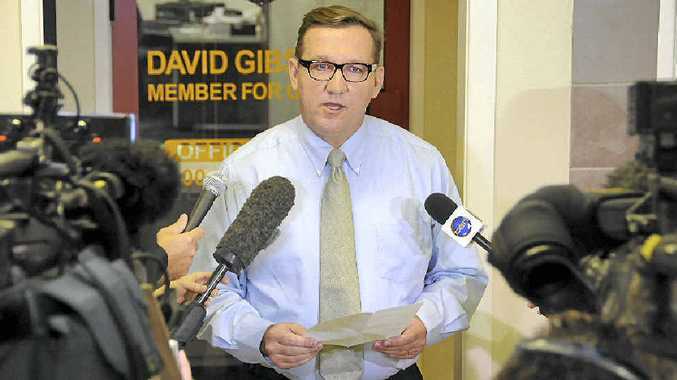 ATTEMPTS to turn Gympie MP David Gibson from a thief into a victim would ultimately fail and raised serious questions about Campbell Newman's future as Premier, two of his critics claimed yesterday. Rainbow Beach Chamber of Commerce president and political aspirant Scott Elms, the man who publicly exposed Mr Gibson's theft of $7335 while an officer in charge of an army mess hall, said he welcomed any court or defamation action because it would confirm the truth of the matters raised. DR DOUGLAS questioned whether those appointments, first of disgraced Redlands MP Peter Dowling and then of Mr Gibson, were about ensuring Mr Newman had command and control of their decisions in relation to whether acting CMC chief Ken Levy had deceived the committee while Dr Douglas was its head. Dr Douglas said Mr Newman had failed to tell the truth about when he first became aware of the fact Mr Gibson had pleaded guilty to stealing money from the mess hall by creating false invoices, and must now consider his own future in Parliament. However, Gympie LNP branch chairman Graham Engeman has confirmed a letter received last August from Mr Elms had been referred immediately to LNP headquarters. He claimed yesterday he was advised by army officers at Duntroon who had served with Mr Newman that they had contacted the Premier's office immediately Mr Gibson was appointed Police Minister in 2012, warning of his past. Dismissing claims he had been acting as an agent for a huge proposed development, Mr Elms said he was a conservative who supported all development that brought jobs and growth to Rainbow Beach. Mr Elms said Mr Gibson was so compromised by his past that he couldn't fulfil pre-election promises he had made to remove beach access permits that were killing business in Rainbow Beach. Mr Elms also denied claims by Mr Gibson that he had attempted to blackmail him to get a favourable development decision. "I look forward to any legal discussion about these matters," Mr Elms said. "I look forward to any defamation action by David Gibson. "The LNP spin machine is attempting to change David Gibson from thief to victim in 24 hours. I believe we should hold all politicians to account." "Ultimately this is not David Gibson's problem," he said. "This is the party and Campbell Newman's problem. "If the Premier can't tell the truth about this matter he shouldn't hold the job." 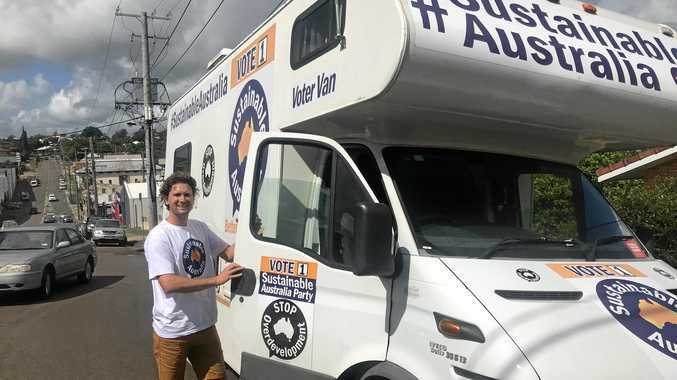 The Rainbow Beach Commerce and Tourism Association president for the past 10 years and owner of Rainbow Beach's car wash, Mr Elms said he would drop his intention to run as an independent at the next state election if Mr Gibson was not re-endorsed. Question: When did Mr Newman become aware of the conduct of Mr Gibson while serving as an officer of the Australian Army that led to him being charged with the theft of $7335 from a mess hall? Answer: The Premier became aware of the specific allegations contained in Mr Elms' dirt file three weeks ago. Question: A report in the Courier-Mail states that Mr Gibson's local branch of the LNP send LNP headquarters on August 29 last year a letter containing the allegations. Is Mr Newman concerned those issues weren't raised with him at the time? Answer: This is a matter for the LNP. The Premier devotes his time to delivering on our election promises of growing a four-pillar economy, lowering the cost of living, delivering better infrastructure and planning, revitalizing frontline services and restoring accountability in government.